Spider wasp. Episyron sp. spider wasp on a leaf. 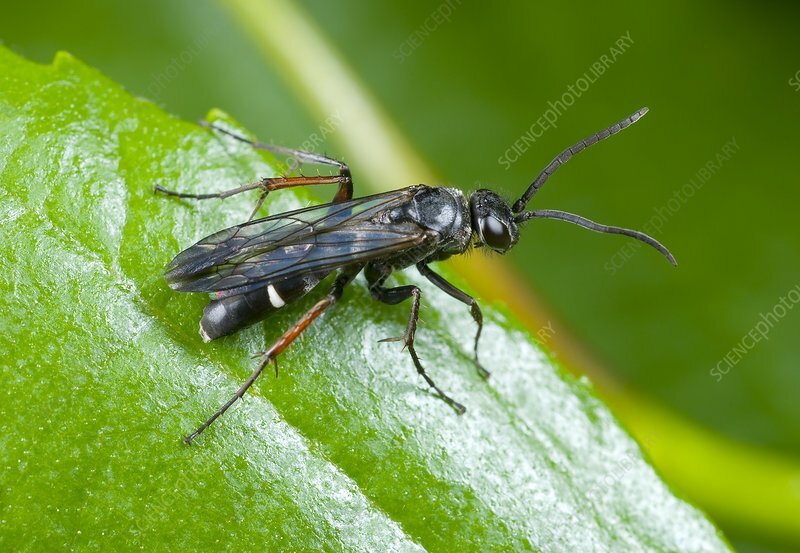 Spider wasps (family Pompilidae) get their name from their behaviour of hunting and killing spiders, often larger than themselves, as food for their larvae. Photographed in Wroclaw, Poland.